A good percentage NCBT graduates have settled with either permanent residence or long term work visas. check immigration.govt.nz for more info and latest updates. Interested in getting to know a little bit about us and our courses? This qualification is intended for learners of English as an additional language who wish to apply their English language proficiency to a specific context. Graduates will have the general language skills required to participate in increasing independence and fluency in academic, community and/or employment English language contexts. This qualification is intended for learners of English as an additional language, who wish to pursue further English language study in an academic context or pathway into many diploma and other undergraduate programmes. Graduates will be able to enter a variety of advisory or associate positions across a range of businesses within New Zealand and internationally as a pathway to a future management role. Graduates of this course will be capable of effectively and progressively undertake export / import administration and manage an entire export/ import department. 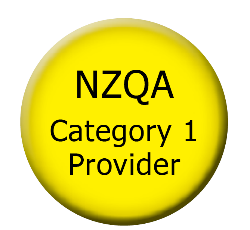 Graduates of this course will be capable of administering and managing computer networks in New Zealand or overseas. To provide students a broad understanding of the core concepts and practical skills in Information Technology (IT), with a technical support focus.